Karachi to join the rest of the world in observing Earth Hour 2011 today which is a global event organized by the World Wildlife Fund for Nature, celebrated by asking households and other small businesses to turn off their non-essential lights and electrical appliances at least for an hour just to raise awareness about the need to take action on climate change. 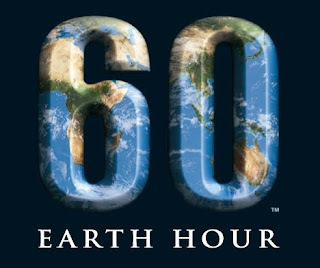 The first Earth Hour was conceived by WWF in 2007 where 2.2 million Sydney residents participated in the event by turning off all their non-essential lights. After which many cities from around the world has adopted this event. This year Lights of almost 1,387 icons and landmarks worldwide would be turned off for an hour, including Karachi's Quaid Mausoleum. As per KESC press release all illuminations and unnecessary lights and appliances of that organization would be switched off.